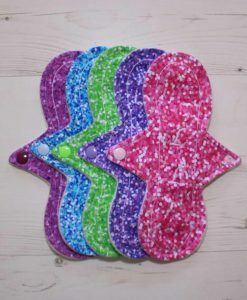 8″ long reusable cloth sanitary (menstrual) pad with wings. Liner pad. Cotton Jersey top layer. Needlecord back. 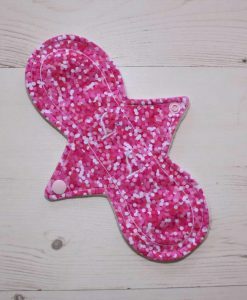 This pad has no hidden PUL waterproof layer so it is even more breathable.